Cod fishing is an exciting leisure activity that is recommended for everyone. On this website you will find useful information about different types of cod fishing. 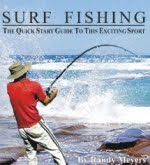 Equipment, methods, techniques and fishing spots are some of the topics you will find tips on. If you have access to saltwater, you should definitely try out this rewarding leisure activity. In most areas it is possible to engage in cod fishing throughout the year. To fish from boats has often proven to be effective, but you can also get great catches from the shore. The coastline with its beaches, rocky shores, reefs and piers provide endless opportunities. Your choice of equipment is important. During cod fishing your equipment should both help you to get the fish to bite, as well as get it safely ashore. What types of cod fishing you engaged in, as well as how big fishes you are chasing, will determine the requirements that are set on your equipment. Rods, reels, lines, lures, jigs and bait are some of the equipment you can read about. You will find tips on what factors are important when choosing equipment, as well as what qualities the equipment should have. Cod Fishing Rod - Information and tips about selecting rod. Cod Fishing Reel and Line - Information and tips about selecting reel and line. Cod Fishing Lures and Pirks - Information and tips on what to use at the end of line. As mentioned, cod fishing is conducted from both boat and the shoreline. There are many methods and techniques that can provide good catches and many of these methods are relatively easy to learn. Cod fishing should be fun and therefore we recommend that you choose a method that you will enjoy. Local conditions, the size of the fish, as well as what type of equipment you have available are factors that will affect which method you should choose. Jigging is probably the method that is easiest to learn, but also bait fishing from boats is something that everyone can participate in. During shore angling for cod the conditions can provide some additional challenges, but do not be put off. With some basic knowledge and a little practice you will be able to enjoy cod fishing from shore. Here are some articles that hopefully will provide useful information. In most areas you will be able to enjoy cod fishing all year round, as well as around the clock. However, there are some periods of time that are particularly suitable for cod fishing. Seasons will affect the opportunities for good catches, and also which method that should be used. Depending on local conditions, the time of day can also play an important role. The tidal water is in many areas the most important factor when you are looking for cod. In these articles you will find useful information. Best time cod fishing - About the tide, water temperature, seasons and other factors. Shore angling for cod - About the tidal water, water temperature, seasons, local conditions. In all sea and coastal areas where cod is present, you will be able to engage in cod fishing almost everywhere. Cod is present at many different depths, and you will find it both close to shore as well as far out to sea. Still some areas stand out as especially well suited. The conditions along the seabed are usually the most important factor when choosing cod fishing spots, but others factors like local conditions, seasons, tidal water, temperature, light conditions and weather conditions will also determine where the cod will be present. What the cod is currently feeding on will also be of importance. More information on how to locate the best spots you will find in these articles. Cod Fishing Spots - About finding the cod when fishing from boats.